What size filter would you like? Please note costs vary. 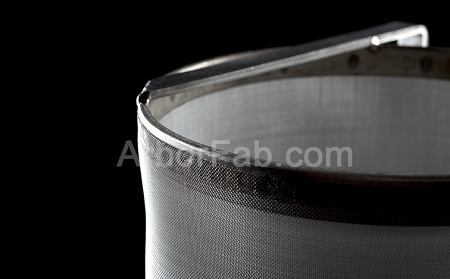 6" X 10" 6" X 11" 6" X 12" 6" X 14" 6" X 16" 6" X 19"
What size micron mesh would you like? Would you like to add a dry hopper? Would you like to add a dry hopper? No thanks Yes. Please add a glass carboy dry hopper. Yes. Please add a 7" Corny Keg Dry Hopper. Yes. Please add an 11.5" Corny Keg Dry Hopper. 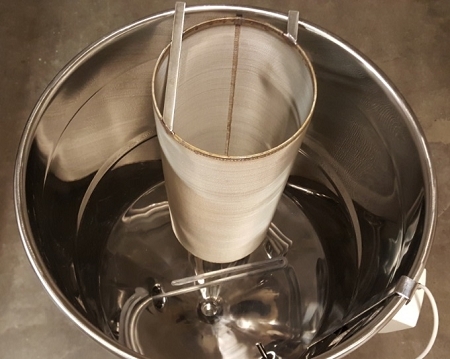 These 6" stainless steel mesh brew filters are great for holding back hop gunk so your plate chillers won’t get plugged up. They will keep the gunk off the bottom of your kettle also. 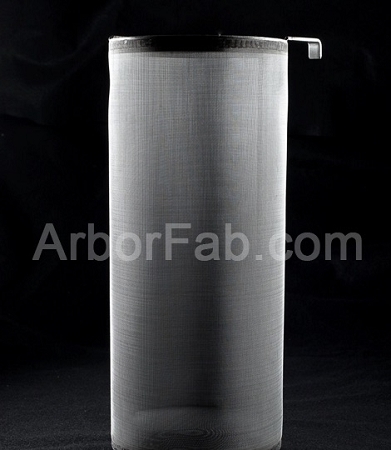 These come in heights ranging from 10” to 19” and in either 300 or 400 micron. 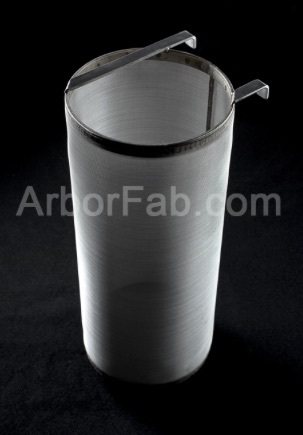 They are made from 100% stainless steel, easy to clean, and hand fabricated right here in the USA. See additional options to add a dry hopper at a discount and some PBW for cleaning purposes.